Garages are not just meant to shelter vehicles; they function as workshop space, additional storage and the hub of summer fun for the whole family. Boston Closet Co. has solutions to organize your space to maximize fun for the whole family. Turn a garage disaster into your favorite hangout space with a complimentary design consultation complete with input from the experts! Take back cluttered counters and maximize space with these upgrade options from Boston Closet Co. Storage cabinets. Cabinetry maximizes space so you can hide away bulky items and further organize your belongings. Items which previously took up space on the floor or high-traffic areas can easily be swept, tucked into compartmentalized containers, and stored for use at a later date. Cabinets allow locks for additional safety as well to assist in keeping pets and small children safe. Pegboard. The options are endless with pegboard! This is a great backing to use for workshop space because it provides versatile hanging options and allows items to be rearranged at a later date without damage to the wall itself. 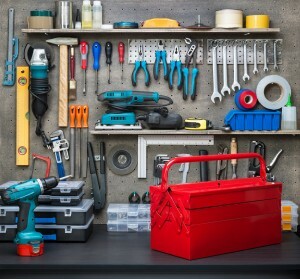 Pegboard is exceptional for holding tools, small containers and even racks to incorporate versatile storage options. Your personal designer can help determine if this is the right option for you. Hanging Racks. Wall racks designed to fit bikes, golf bags and cleaning tools are the perfect way to get items off the ground where they are likely to be hit or knocked over. Create additional storage space and prevent damage with hanging racks selected specifically for your purposes. Off-the-floor racks provide ease of use and stability to make sure items stay where they belong. Custom flooring. A quality garage has to be equipped for any situation. Oil leaking from cars, sawdust from workshop areas, and heavy use make durable flooring a critical part of any quality garage. Stain-resistant, sealed flooring ensures years of damage-free use so you can enjoy your garage worry-free all year long. 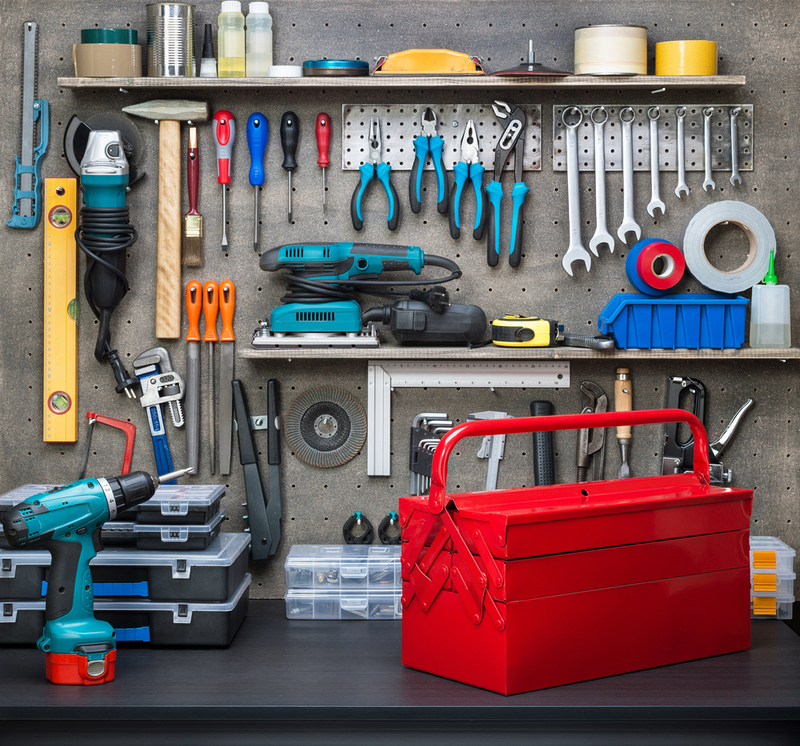 A clean, organized garage allows for more than just ease-of-use; it maximizes multipurpose functionality and creates defined spaces so you’ll know where the cars stop and dad’s workshop begins. Seasonal items become easier to find and hazardous substances can be locked securely away from small, wandering hands. An organized garage is a clean, safe space for everyone in the household. Call today to book your free in-home design consultation with a prompt and polite Boston Closet Co. representative.